Welcome to your new GO card. GO Card is PTVL's new smart card. GO card is a long term, plastic card with a computer chip instead of a magnetic stripe like the Swiper. You can add Pay As You Go, Frequent Rider, or both products to your GO Card. 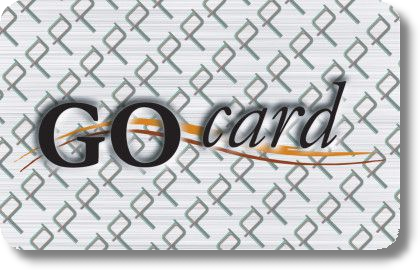 GO Card card's can be replenished online, at retail outlets or over the phone. Frequent Rider is a discounted daily,weekly, or monthly pass that provides unlimited rides from the first time it used. Rider Tickets are single trip tickets valid for a single trip by the customer. These tickets do not have an expiration date. If the trip is completed, the card must be restored. Minimum amount-$10 & Maximum amount-$200. Pay as you go offers a reduced price and flexibility to restore your balance at any time.